Welcome to National Rejuvenation Center. Our facilities use the most current techniques in hormone optimization therapy to safely balance your hormone levels to that of a healthy twenty year old! We combine these techniques with individualized nutrition protocols and personalized exercise plans to help you look better, feel better, and be healthier! And if you are interested in physician supervised medical weight loss, we utilize personalized protocols and state of the art compounds formulated exclusively for National Rejuvenation Centers. We are confident this approach will quickly help our patients lose body fat and gain muscle mass, which will enable them to eat more food when they reach their goals and maintain a healthy bodyweight without starving themselves! Thank you for using us as your rejuvenation experts! What are patients saying about NRC? You don't have to "feel your age." 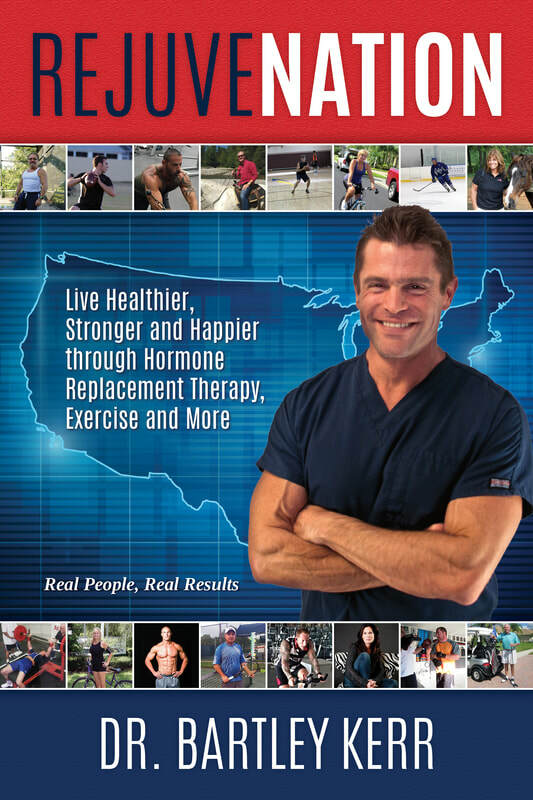 states Dr. Bart Kerr, rejuvenation specialist and founder of National Rejuvenation Centers. Dr. Kerr has helped hundreds of men and women over 40 rediscover the vitality of their youth. Dr. Kerr's interviews on CBS San Francisco and NBC Daytime!